Dan K addresses an issue that affects us all at some point in our photographic journey. GAS can be a terrible affliction for some and a joy for others. I have to say I have got through the worst of my GAS, but then my job is really helpful for that. Perhaps some might call me an enabler though…. “Gear Acquisition Syndrome” or “GAS” for short, is modern photography slang for craving ever more gear, even when doing so may bring little or no incremental capability. It’s a slippery slope that leads to irrational spending and distracts from skill building. However, it’s a human tendency that most people go through and a learning experience. It’s a vast topic and I’ll probably end up writing a series on it, but let’s start out with a cautionary tale; my story. Hello, I’m Dan and I’m a GAS addict. This is my first meeting of GAS Anonymous. My first child was born in 2003, about the time when consumer DSLRs were king. They had reached a watershed level of quality and stood head and shoulders above compact cameras and smartphones of the day. After considerable research and asking friends who knew far more than I, I bought a Canon EOS 400D and a fantastic Tamron 17-50mm 2.8 lens and rediscovered what I then considered ‘advanced skills’ of aperture priority mode and shutter priority shooting, learning them from the camera manual. I thought I was an overnight expert and went out and filled many 2GB cards full of what I believed was art. In truth, there is precious little that I do today that I couldn’t do with that very basic and now very dated camera and yet it proved a gateway to a vast amount of spending on photography gear. At first, it was all about building greater technical capabilities. I started wondering if a longer lens would allow me to get better distance shots and shallower depth of field. Would a wider lens allow me to take in more and create more emotive close in shots? I bought more lenses, always zooms… and I made sure I overlapped zoom ranges because I wouldn’t want to miss a shot if the wide zoom started getting into medium zoom range and had to change lenses. And yet I seemed always to be changing lenses and before long I was one of those guys who went out with a full backpack and a tripod strapped to the back. The big jump in spending was when a well meaning friend convinced me to move up to the Canon EOS 5D Mark II so I could make full use of the full frame lenses I was not buying. I started buying professional quality “L” lenses and magically, my photography improved. Looking back, I realise that the reason why my photography was improving wasn’t that my gear was making better photos, but each piece of new equipment inspired me to take new photos and my skill level was rising. My spending started to outstrip my earning power and I learned to buy second hand. I bought a fantastic 85mm f/1.2L for half retail value and discovered the unbridled joy of taking close portraits in the dark with only half an eyeball in focus. It sounds stupid now, but at the time, I was jumping up and down with misplaced enthusiasm. At least I learned critical focus and a valuable lesson about needing sufficient depth of field. This triggered an expensive forray into off camera flash. Festooned with gear, I trudged round Tokyo disneyland carrying two children, a backpack, a heavy DSLR while my wife became an impromptu light stand. I had pangs of jealousy at locals who’d whip out a compact camera, snap a shot and skip on to a the next ride while I suffered with lower back and worrying chest chest pains. About this time I got back into film was inspired to buy the Ricoh GR1V, perhaps the best luxury film compact for street photography and the antithesis of by backpack full of professional DSLR kit. I was well ahead of the market curve and bought it at the time when film was all but dead and hadn’t become fashionable again. I bought more and more of these cameras. I wrote about them and others did too and watched my growing collection appreciate in value. This was a trap, because investment appreciation was now part of my mental equation. Before long, my collection boasted all but a couple of the rarest luxury film compact cameras, which I found myself paying top dollar for because I, and many other people had started writing about the genre. Collecting is a curse, because you buy cameras you’ll never use, just for the joy of owning them. I started to collect more and more genres as I wrote group articles. I like to own and use a camera and get to know each camera before I write about them. Eventually, I got to the point where I was about to buy a cheap Voigtlander Vito II but backed away because I was fearful of starting another collection. By this point. All logic has gone out of the window. I’m no longer thinking about affordability, because I always find a way to come up with the money. Stores give me credit on reputation alone. My greatest problem is storage. I have runout of spaces in my storeroom, home and office for dryboxes. I have cameras and gear concealed everywhere, in box files. I even have a camera or two in the garden. If robbed burglers won’t be able to find the good cameras among the bad. They’d better bring pallettes and pallette movers. I can’t remember all the stuff I own and I have come close to a breakdown discovering piles of stuff I forgot I had. 1. Things that I love so much and can’t do without e.g. my Nikon F2 and Noct-Nikkor. 2. Collectibles that are hard to find and would probably end up repurchasing for more later, if I needed to write an article. I have poor recall and my collection is like a reference library. 3. Great cameras and lenses that would fetch a poor price. 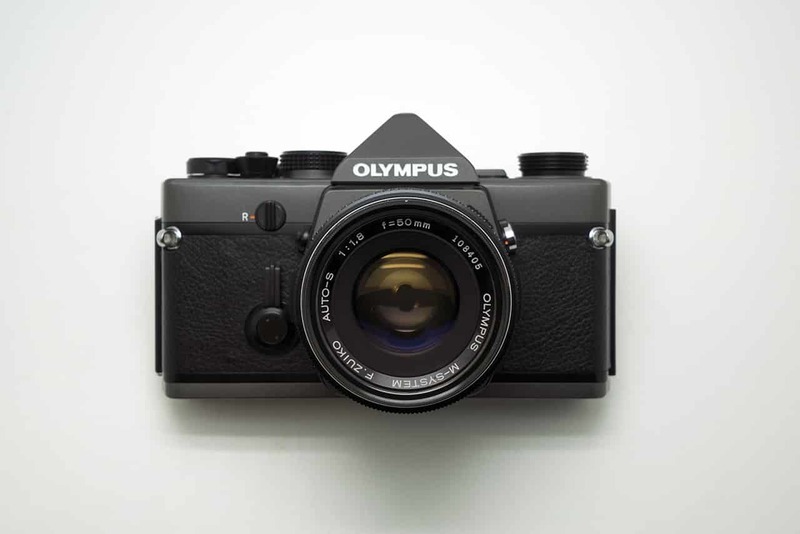 Why sell an OM-40 for a few dollars? It’s such a great camera. In truth, I have made few individual mistakes, because I’m pretty good at spotting a bargain or a rare piece of kit. I do sell some duplicates accumulated as parts of larger purchases and have a slow stream of income coming from selling in consignment stores, but the stores are clever. They tell me to come pick up cash when they have something newly in stock that they know I want. I rarely walk out with cash in my pocket. I bet if I sent Bellamy a box of stuff, he’d magically find a Canon Original for under a million yen. I once went to a camera fair deliberately leaving my wallet behind and left with a thousand dollar rare Minolta lens because a camera store persuaded me to buy from another camera store, persuaded them to sell it to me cheap and fronted me the money. I got to the point where I stopped writing about cameras. I dropped off twitter for a while. I left Bellamy in the lurch for nearly a year after three back-to-back Unsung Heroes articles burned me out. I *almost* stopped buying cameras and gear. However, I recognise now I’m powerless over this addiction and what a delicious addiction it is! I fantasize that I might be able to sell some collections piecemeal and focus on buying higher-end things so at least I’ll have more space. It’s a fantasy, but it’s a ray of hope. I should illustrate this article with a photo of a big pile of all the stuff I own or a list of my gear, but that would be too painful and would probably end up as evidence in a divorce settlement when my wife realises the full extent of my problem. So instead, I’ll just ask Bellamy to post a couple of pictures of lovely kit and trigger your own GAS, like bringing a bottle of Cognac to an AA meeting instead of a box of bagels. Forgive me. I know I’m not alone in this. Do you have a GAS problem? 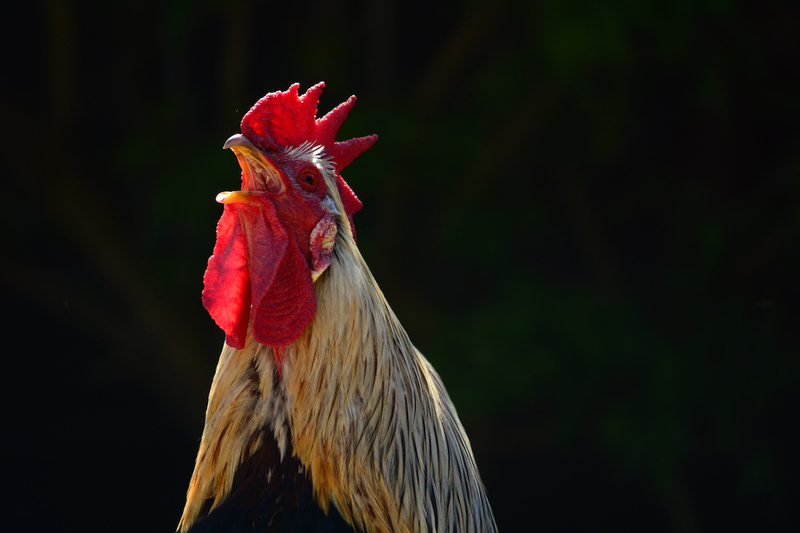 Share your story and we can at least commiserate together. Want to get more GAS? Check out my Instagram and Flickr. Be warned, the images there may be addictive. Thank you for this article, im not alone in my madness! My Nikon collection has grown to 11 film cameras, a D2X, D200 and Df. I only have three AF lenses and the rest are all non ai Nikkors, which at last count was 20. Ran across an old Retina IIa about a year ago, and now it’s up to 40 cameras… And that doesn’t include the cameras I’ve given away. I have learned a lot, though, and so far it’s been a relatively inexpensive hobby. Fortunately a serious lack of surplus cash has cured my GAS for now. Bellamy, my Chief Enabler, craftily used for his first illustration that Olympus M-1 that I have held and adored only to be told that it was sold. Last night, he told me it was available again… and this morning there it is subtly taunting me. The difference between a camera dealer and a drug dealer is you can (theoretically) sell the cameras when you’re done with them. Your purchases will not make you feel any better about yourself and won’t make you a happier person. Those moments when you are searching something to buy, saving up for a thing thinking that it would make you happier goes away not too long after your purchases. Been there, done that, not going back there again. I only buy stuff that makes sense, buy stuff that I would use within months time. I still have some things to get rid of. There are certain things that I feel attached to, those stuff goes to my dad, friends (for free), people I know would respect them and take good care of them. Live in the moment, appreciate what you have, buy stuff that you would use, stuff that you need and are nice, appreciate your surroundings, your situation at the current moment, spend money on experiences. That’s what’s going to give you a better life and rationality in terms of your camera gear. oh!!! !Had to admit that I also sort of have GAS but currently dropping after crazily purchasing four Olympus RC35 from eBay…. Uh, I also cannot explain why …. But recently I try to read more articles online about which gears or lenses people use, and try to make myself see that with just the lenses or gears that I have, I can also make brilliant photos, if I just practice a bit more with them ! And that helped a bit … oh, no, I just purchased yet another camera a month ago because this one is waterproof and shock proof and that’s REALLY necessary when you have small children running around you…. RIGHT? Oh……..THAT kind of gas. Back in the early seventies I was a freelance fashion photographer mainly. Collection included; Canon F1 w/bulk film back, waist level finder, etc., Mamiya 645, Koni-Omega RAPID M, Canon AE1, Canon A1, and others including all accessories. Lugged all of that to every fashion shoot. Couldn’t do it today. I bought my first SLR, a Canon A-1 with an FD 50mm f1.8, in 1980. I later added a 80-205 f4.5 third-party zoom, a motor drive, a Sunpak 522 flash, and a cheapy Spiratone 400mm f6.3. In December 2012, my wife wanted to buy me a DSLR; but when she said her budget was a T3i, I talked her out of it since I thought that would be the last DSLR that I owned; as a consolation, she bought me a used FD 28mm f2.8. December 2013, she was surfing a mega-shopping site and found a Canon 5D Mk III package deal. She asked “What do you think about this?” I asked “You’re buying me a 5D? Go for it! But let me check B&H.” I found a similar package for $500 less. In 2014, I bought a used Canon Auto Bellows from KEH. This year, I saw a rare Canon Macrophoto 20mm f3.5 lens on B&H and snapped it up that week. But my wife wouldn’t let me buy the Canon 1200mm lens that went on sale at B&H unless I won the lottery. I want to add the FD macro lenses of 50mm and 100mm to my SLRs, but I also have to add EF lenses. I use all three cameras; the A-1 is loaded with B&W and the F-1N with color. PS: I haven’t told my wife that I would like to get into medium format photography with the Mamiya 645 and RX67 systems, and perhaps, also large format photography with 4×5. I thought I had GAS until I read this post. I limit mine to a few classics. 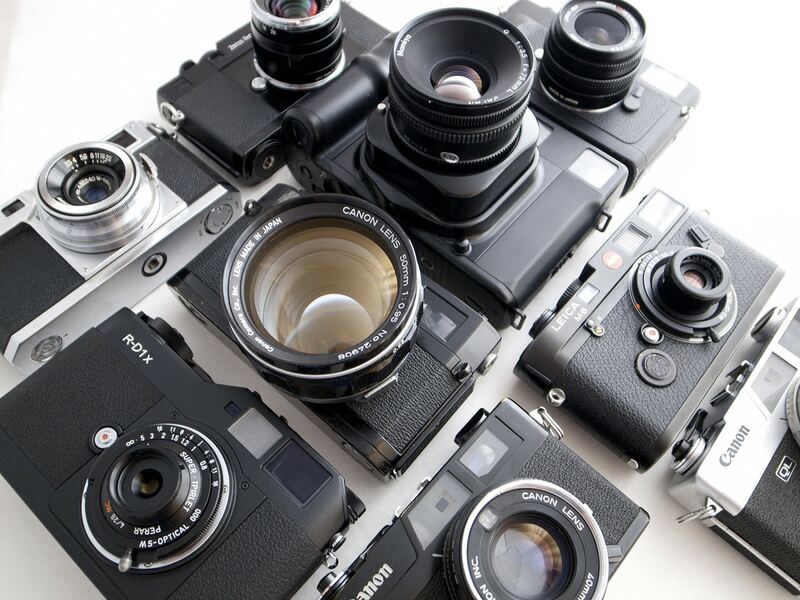 Nikon F F2, Canon F1, Olympus OM2n, Hasselblad 500 & 903swc, a Leica M2 and a lot of Contax. I used to feel guilty about buying cameras all the time but I’ve decided to just go with it. I love film cameras and that’s all there is to it. My current collection is quite modest, really – I’ve wittled it down to several Nikon F3s, a Nikon F5, three AIS lenses, a 50 1.8 AF-D (its got a metal mount so its practically a classic) and an Olympus XA. I’ve got my eye on a Rolleiflex SL66, though, so the journey isn’t going to end any time soon. Thanks a lot for this great article. Since I keep track of my GAS syndrome I’m doing better. I had almost the same GAS curriculum vita then Dan. I love old cameras and the way the are designed and sound. 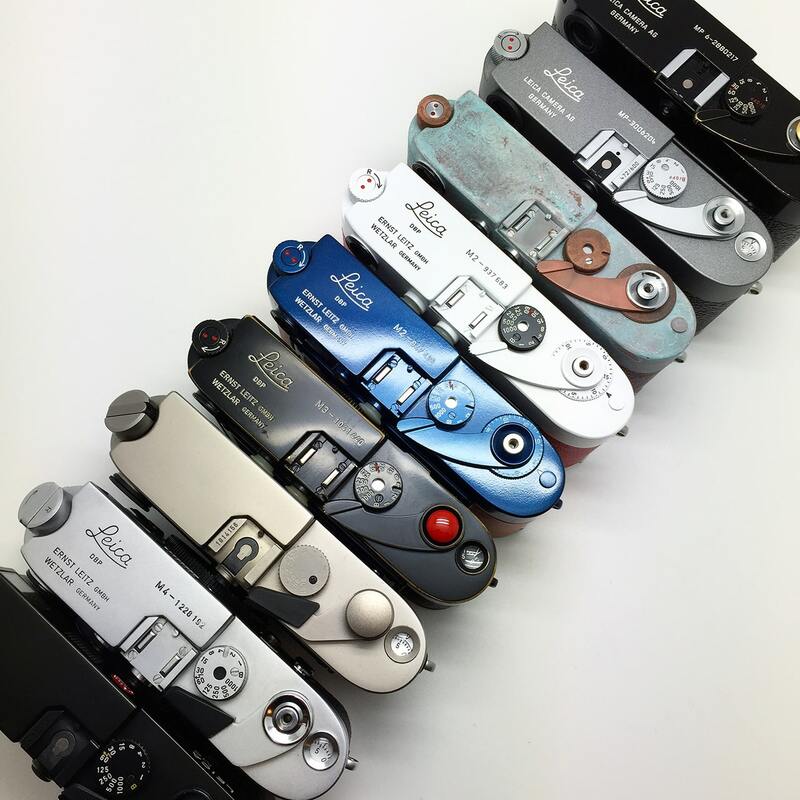 Love to tinker cameras and refurbish cameras. For a moment I felt like I had a GAS problem because I went into a mad frenzy finding replacements when I thought I killed my Samsung Slim Zoom 115A Panorama. There’s always more film I want to try, and more film I want to get. I’m pretty good when it comes to gear itself, I tend to not replace something ’till it breaks, and very rarely really want something new. Mind you, when something does break, I tend to go a little crazy and instantly have a mighty need to replace it. But I’m sure I’m not the only one like that! 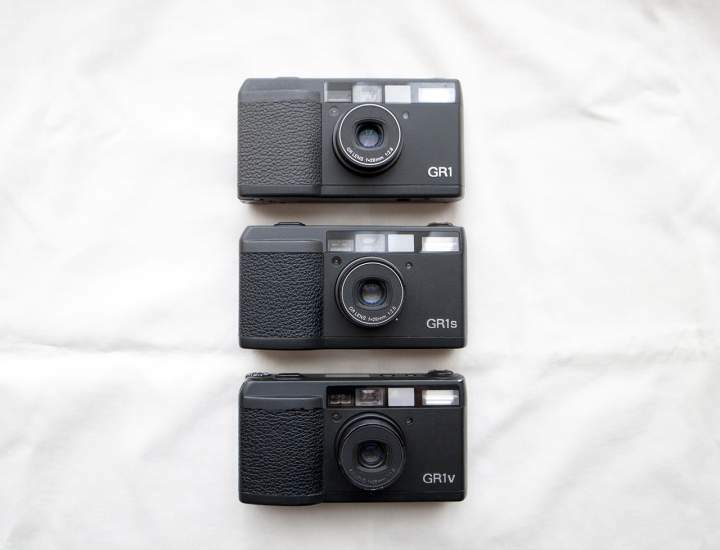 When I started to feel myself going down the rabbit hole buying instant cameras a few years back, I came up with a rule for myself to only own one camera of each type at a time. My current film camera collection includes: a 35mm slr, 120mm slr, 35mm rangefinder, a 35mm point and shoot and various instant cameras. Only thing I see missing now would be a tlr. It’s super tempting whenever I walk past some of the camera stores here in Hong Kong, but i think setting rules and sticking to them worked for me. One of my twitter followers @tenminuteshate pointed out that all the Google ads are for antacids! Well I thought I was bad until I read this. 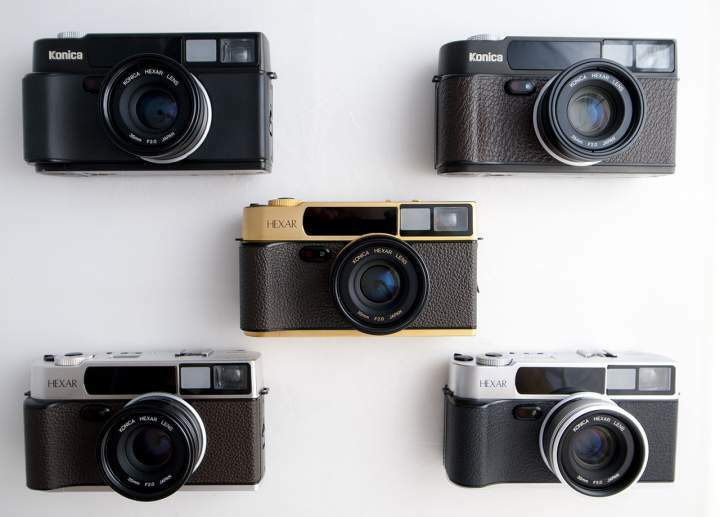 48 leica m3’s on last count all colours of rare an collectable versions plus enough lenses for each one. I used to suffer from GAS but I think I’ve managed to curb it. I thought how many of the do I actually use? Not enough so some will have to go as l’m also running out of room and the good wife is complaining!!! I had guitar GAS for several years until winning a Nikon D3100 in a raffle two years ago. That’s when my serious interest in photography started. Before that I’d always been interested in taking photos but usually only took a camera with me on overseas trips or to music festivals. At the time of winning the digital Nikon, the only cameras I possessed were a Pentax Espio 90MC — a wonderful little camera which I still have — and a Pentax Spotmatic inherited from my father, and which I’d never learned how to properly use. The Nikon D3100 was my first digital and a basic digital photography course was needed to penetrate the mysteries of digital photography. That further stimulated my interest in photography and I started the search for ‘the perfect camera’, both film and digital. A friend showed me his Leica M9 — a fatal move with someone with pathological GAS! I became addicted to rangefinders, I sold the Nikon D3100. 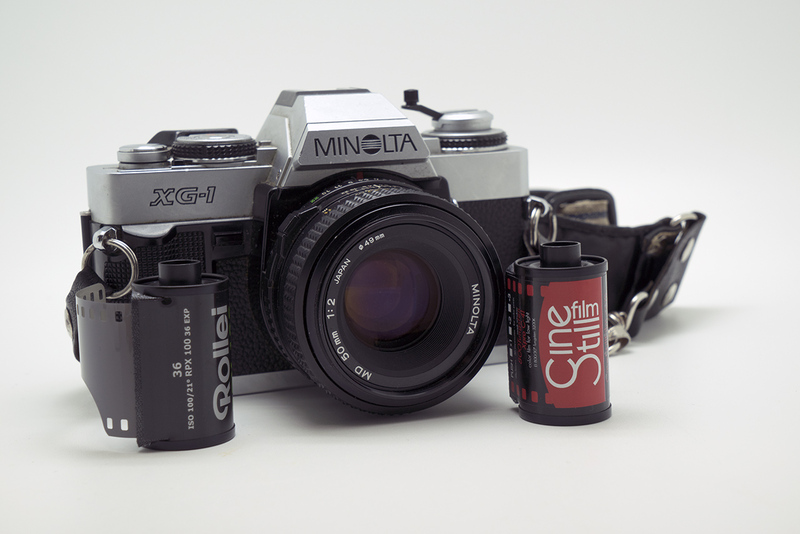 Regarding film cameras purchased, I bought an M6TTL, sold it, and bought an MP. Then I realised I needed aperture priority in a film camera for street photography, so I bought a Zeiss Ikon ZM. Realising the limitations of rangefinders, and pining for a through-the-lens viewfinder, I bought a Nikon FM3a through Bellamy after reading Dan K’s article on SLRs. 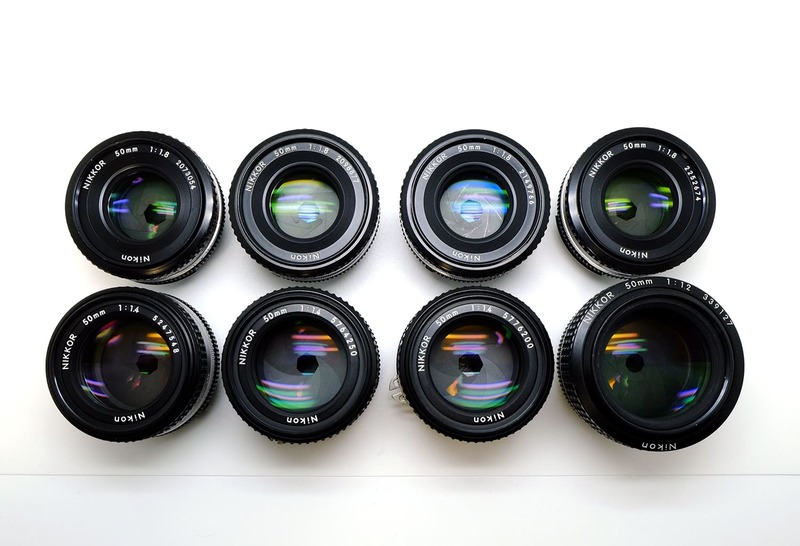 Then there were lenses for the Leicas and Nikons . . . I rationalise purchasing so many lenses because I have both film and digital cameras of each make — although I’ve found the standard 50mm the most useful — but that realisation has led to the search for the best 50mm . . . So far I have three M-mount 50s and two Nikon 50s — so the GAS saga continues . . . I have to admit I do have Gas. Recently I bought a Nikon F and a 50mm F1.4 to go with it. Before fore that I bought a Canon P rangefinder and before that I bought a Ricoh GR IV. I have to stop but looking at Bellamy’s website I just want more gear. I discovered photography around 2007. After 1-2 years of digital i discovered film. 35mm. I was hooked. It was and it is my burning passion. 3. if i want to use my time without regretting i have to live more intense, have less stuff and enjoy the fewer things i have more and use them to the fullest. Sure, i`ll buy more stuff over time, but i surely won`t keep all the stuff, and whatever i`ll have at any given moment i`ll be able to appreciate it and enjoy shooting with it. I don`t know how much one can learn from anther one`s experience, bat that would be my advice for anyone: have less and enjoy it more. Bellamy, what would be your answer to Dan`s K final question from this article? GAS knows no boundaries and can be a source of extreme pleasure or utter disappointment… it can last decades and be passed to new generations through GAS “hosts and enablers”. My enablers? eBay… Etsy… ZenMarket… Buyee… Jauce… Yashima-Yashica… JCH… Canon… Fuji Photo… Asahi-Pentax… Yard Sales… Estate Sales and anywhere an unwanted or unfound piece of gear awaits. My camera family tree had just one large strong trunk with one or two branches… I told myself collect ONLY nice 35mm SLRs… no rangefinders, no TLRs and no “silly stuff”. My camera family tree is fully grown now… numerous branches proudly spread out in all directions. Oh and no 35mm compact point and shoot cameras! Never! Well that tree is now growing branches too. I do enjoy my GAS… when one camera has spent some time with me… I do use them, clean and adjust them before I happily pass them on to another only to acquire a replacement as fast as I can find that perfect camera. Hi, mate I hear you loud and clear, except I force my self to on sell each camera I buy to fund to the other one it’s the only way I can afford it. Having said that I am looking for a X Pan any hopefull that will complete my GAS. So far I’ve got a Minolta X 300, Leica M3, Fuji X pro 1 ( with the latest soft wear updated ). Off to Europe next week having trouble deciding which camera to take with me and hopefully I buy an X Pan in London.